We have, perhaps, seen the worst of the recession and may be in the midst of a weak rebound. For owners of faltering businesses, an anemic economic recovery demands that they understand all the tools available to them through various debt restructuring options. While a bankruptcy filing is the most often-considered alternative, creditor sales make the most sense when the company’s business is no longer viable in any realistic view of the world. In such a case, there is often no benefit for the company’s owners to attempt to rehabilitate the business or seek a sale of the business as an ongoing operation. To banks and other lenders, the trickiest part of these sales is following the rules of the Uniform Commercial Code. The UCC is a group of laws that apply to all commercial transactions except those involving real estate. The UCC gives such lenders a powerful tool – the right to sell another’s property. But to protect the rights of the borrower, any guarantors and other creditors with liens on the collateral, the UCC requires the secured creditor to jump through several hoops, such as providing reasonable notice of a proposed sale. The amount of notice required is not specified in the UCC and will depend on the circumstances, but the UCC does expressly provide that 10 days will be sufficient in non-consumer transactions. Notice affords such parties the ability to appear in court to attempt to prevent the sale. Unfortunately, the concept of “commercial reasonableness” is virtually impossible to define and depends on the situation. It requires a creditor to do what is reasonable under the specific circumstances to maximize the proceeds from the sale, including advertising the sale and sprucing up the collateral (yes, the creditor may have to spend money if it makes sense to do so). The extent of the creditor’s task is defined only by the after-the-fact imagination of a lawyer as to what might have been done better. The UCC does make clear, however, that for a sale to be commercially reasonable, it does not necessarily have to have brought the highest price possible. Aside from these legalities, one practical issue surfaces in almost every creditor sale. A sale usually requires at least limited cooperation of management. Although a creditor who has a lien on the company’s inventory and machinery, for instance, can use its powers under the UCC to transfer ownership in the collateral to a third party, even without actually delivering possession of the collateral to the buyer, not many buyers would be willing to purchase it in a situation where it remains behind locked doors and is impossible to remove from the borrower’s control without court intervention. Absent the borrower’s cooperation, the creditor would have to start a lawsuit and move for an order of “seizure” under which the sheriff would physically force the borrower to turn over possession of the collateral to the creditor, a process which brings with it delay, expense and a host of uncertainties. Ideally, the company’s management would be willing to provide the creditor and potential buyers with access to the collateral for inspection and to turn over possession of the collateral if a sale occurs. Management’s members may have personally guaranteed the debt and, therefore, they may be willing to cooperate. A cooperative sale helps the secured creditor in ways other than simply facilitating a sale and maximizing value. It helps with those pesky legalities as well. In order for the creditor to pursue the borrower or a guarantor after the sale for any shortfall or “deficiency” in the satisfaction of the indebtedness from the sale proceeds, the sale must satisfy that elusive commercial reasonableness standard. Fortunately, when a borrower consents to a UCC sale (or is involved in the sale process), commercial reasonableness is often no longer a problem. Creditor sales are powerful tools which can help lenders recover their loans in these difficult times, but it helps greatly if the lender strictly follows the rules and obtains the cooperation of its borrower. 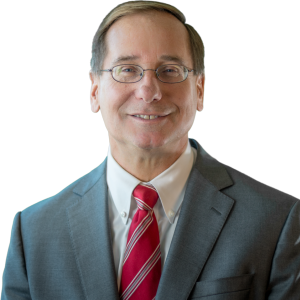 Thomas R. Slome is co-chair of the corporate finance practice and member of the bankruptcy practice at the law firm of Meyer, Suozzi, English & Klein.